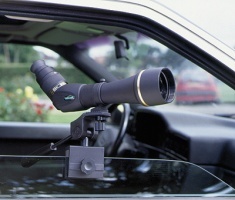 A nice window mount for smaller spotting scopes with a easy to use head. Will clamp onto a window of a car or even a fence. Lightweight design means you can take it anywhere! The Celestron Photographic/Video Tripod is really useful when you want to do hand’s-free viewing through binoculars or a small spotting scope. It’s aluminum frame is lightweight and easy to carry, especially with the built-in handle. 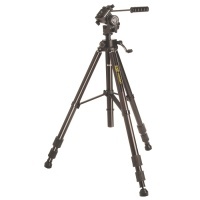 The Fotomate VT-5006 medium-duty tripod is suitable for video cameras, DSLR’s and compact digital cameras. Also suitable for spotting scopes and most observation binoculars. A good quality tripod offering an economically priced platform for Spotting Scopes up to 100mm in Diameter and traditional-style observations binoculars of up to 80mm Diameter. 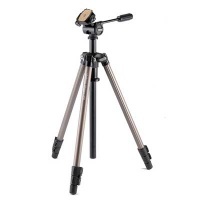 The Fotomate VT-6006 tripod is suitable for video cameras, DSLR’s and compact digital cameras, also spotting scopes and most observation binoculars. This robustly constructed model combines excellent stability, with precise control, and is ideal for a wide variety of imaging equipment. Comfortably manages all Spotting Scopes and Observation Binoculars of up to 100mm Diameter. 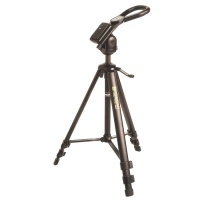 The Velbon DV-7000N is a professional video tripod which comes complete with the smooth Vel-flo 9 2-way fluid head (PH-368). The quick release platform (QB-6RL) and a spirit level allow fast but accurate setup. 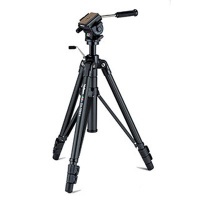 The Sherpa 200 Tripod from Velbon is a sturdy field tripod with 3-section legs, non-slip feet, and easy-to-use clip locks. Designed to be sturdy and reliable, it is constructed from aluminium and can hold up to 3kg. The perfect tripod should be stable yet lightweight and easy to operate, requiring minimal knob twisting and lever flipping. The Celestron TrailSeeker was designed to be your perfect tripod.